The Poor Welfare Fund Committee consists of Dr. P.C Maity, Prof. Debasis Manna and Mr. Ashok Chatterjee. All economically underprivileged students are requested to apply to this committee with proof of income of family attested by local government functionaries. The selected students are given a full waiver regarding college fees and other financial expenditures incurred. The number of students who benefited from this programme in the academic year 2012-2013 was 163 and for the academic year 2013-2014, the number is 486. Incidentally the amount disbursed for the year 2013-14 from the college fund for this purpose is Rs. 1,02,500 (One lakh two thousand five hundred only). In addition to this the Poor Welfare fund also prioritizes applications received from the socially underprivileged sectors like the SC/ST and other OBC categories. The objective of the practice is to give a much-needed relief to the eligible and meritorious students coming from an economically underprivileged background. The college realizes that to tackle the issue, individual acts of waiver considered as special cases (enacted through the Principal’s discretionary power) would not do. It would be a cosmetic step and fail to solve the problem at the structural level. Hence, the setting up of the Poor Welfare Fund under the supervision of a committee consisting of two full time teachers is quiet meaningful. CONTACT PERSON FOR FURTHER DETAILS: Dr. Iqbal Jaweed, Principal, Surendranath Evening College, 24/2, M.G. Road, Kolkata-700009. Netaji Subhas Open University in our campus: Students may have to study in accordance with the syllabus of the Netaji Subhas Open University. In our campus Netaji Subhas Open University (NSOU) conducts Post graduate courses as well as Under graduate courses in various subjects of equal value attached to the degree courses offered by the Calcutta University and other universities in India. The teachers also take up the classes that are usually conducted on every Sunday and some classes on Saturdays as and when required to fulfil the needs of the students. 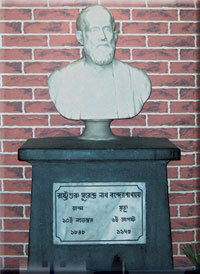 Surendranath Evening College has been acting as a study centre for Netaji Subhas Open University since 1998. It offers the following courses. 1. Bachelor Development Programme (BDP) in Arts, Library Science & Commerce., 2. Post Graduate Programme in Bengali, History, English, English Language teaching, Political Science, Education, Mathematics, Library Science, Social science and Commerce. A person who attains the age of 18 years can enrol himself at the study centre for the BDP programme. The normal course fees for the course is around Rs. 20,000/- including tuition fees, study materials and books per year-semester. The minimum period of completion of the BDP course is 3 years. BDP-Surendranath Evening College study centre of (NSOU) offers Bachelor’s programme leading to B.A., B.Sc., B.Com. degrees. The minimum qualification is 10+2 passed. Students of BDP programmes are subjected to continuous evaluation in the form of assignment. Every Student is required to submit assignment before term end examinations. Term end examinations are held at the end of every semester. Credit system is in operation in relation with evaluation of students. Surendranath Evening College centre has become an important centre for students intending to pursue Master degrees. It offers Master degrees in various subjects consisting of Arts, Science and Commerce. Students of PG courses are evaluated on the basis of internal assessment as well as Theoretical examination. Examinations are held on Saturdays, Sundays or holidays. Study centre distributes the assignment papers and arranges for their evaluations. The study centre arranges for holding of examinations in accordance with the schedule fixed by the University from time to time. Surendranath Evening College is placed under the supervision of a co-coordinator. The co-coordinator is assisted by the staff of his office. At present there are 3 office staff and 11 counsellors. For further information follow NSOU website or contract Biswajit Mishra, Phone No. 8013432432. Recently, NSOU started admission in BDP and PG courses through online. From 2017, NSOU will start 2 years Bachelor of Education for general students.